Smart and safe storage solution for hot styling appliances. The Hair Tools Duo Styling Station is the perfect heat-resistant storage solution for your styling appliances. 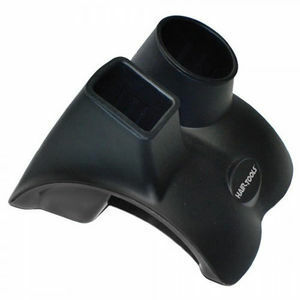 Features 2 different shaped receptacles with a universal size that wll fit most styling equipment. The base of the Station has suction pads that provide secure fixing to counter tops, and also means that it can be wall mounted. Comes in a smart black finish.